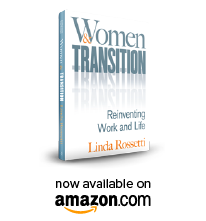 This entry was posted in Observations on Transition and tagged barriers, career change, career transition, change, divorce, empty nests, job loss, retirement, transition, voice, Women and Transition: Reinventing Work and Life, women's voices. Bookmark the permalink. Great post Linda. I think tears are a sign that you’ve hit that emotional vein that’s been blocked. I’m proud of you for standing in your vulnerability, working through it and being a role model for all of us. Let the tears flow, give yourself a break – a writing schedule is good, but letting yourself follow your heart will give you the energy and inspiration that can transcend any schedule.